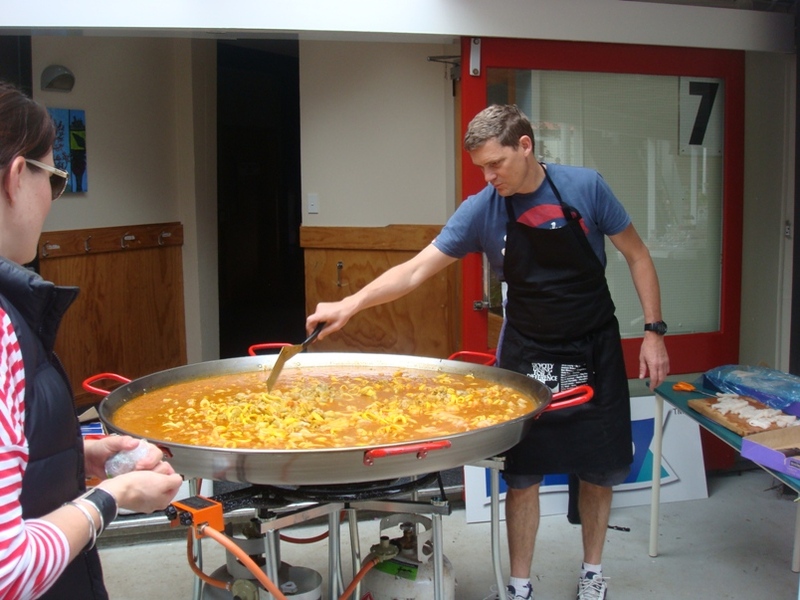 Valencians use the word paella for all pans, including the specialized shallow pan used for cooking paellas. However, in most of Spain and throughout Latin America, the term paellera is more commonly used for this pan, though both terms are correct, as stated by the Royal Spanish Academy, the body responsible for regulating the Spanish language. Paelleras are traditionally round and shallow, made of polished steel with two handles, although largers ones have four handles. A popular but inaccurate belief in the Arab world is that the word paella derives from the Arabic word for leftovers (baqiyah) because it was customary among Arab sailors to combine leftovers of previous meals which purportedly led to a paella-like creation in Moorish Spain. The Moorish people of Al-Andalus often made casseroles of rice, fish and spices for family gatherings and religious feasts, thus establishing the custom of eating rice in Spain. This led to rice becoming a staple by the time the Catholics drove out the Muslims in the 15th century. Afterwards, it became customary for cooks to combine rice with vegetables, beans and dry cod, providing an acceptable meal for Lent. Fish always predominated with rice along Spain's eastern coast.